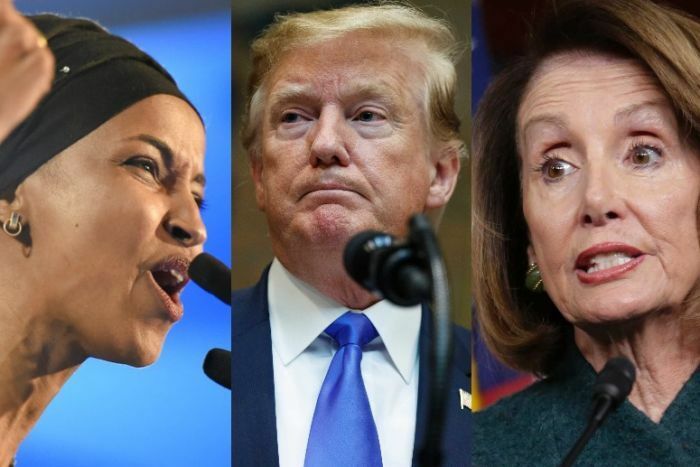 United States President Donald Trump has come under criticism for a tweeted video that was edited to suggest Minnesota Democrat Ilhan Omar was dismissive of the significance of the September 11 terror attacks. House Speaker Nancy Pelosi said the President “shouldn’t use the painful images of 9/11 for a political attack”, and implied the President could have compromised Ms Omar’s safety. The video pulls a snippet of Ms Omar’s speech last month to the Council on American-Islamic Relations (CAIR), in which she described the 2001 terrorist attacks on the World Trade Centre as “some people did something”, as well as news footage of the hijacked planes hitting the towers. Ms Omar’s remark has drawn criticism largely from political opponents and conservatives. They say Ms Omar, one of the first Muslim women to serve in Congress, offered a flippant description of the assailants and the attacks on American soil that killed nearly 3,000 people. Neither Mr Trump’s tweet nor the video includes her full quote or the context of her comments. Ms Omar told CAIR in Los Angeles that many Muslims saw their civil liberties eroded after the attacks and she advocated for activism. 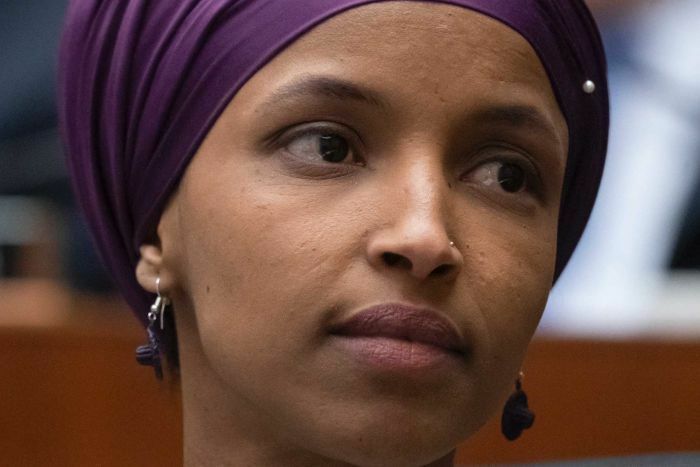 “For far too long we have lived with the discomfort of being a second-class citizen and, frankly, I’m tired of it and every single Muslim in this country should be tired of it,” she said in the March 23 speech, according to video posted online. Many Republicans and conservative outlets expressed outrage at Ms Omar’s remarks. “First Member of Congress to ever describe terrorists who killed thousands of Americans on 9/11 as ‘some people who did something,'” tweeted Texas Republican Dan Crenshaw, a retired Navy SEAL who lost his right eye in 2012 in an explosion in Afghanistan. Ms Pelosi said in a statement while she was in Germany visiting American troops that “the memory of 9/11 is sacred ground, and any discussion of it must be done with reverence”. “It is wrong for the President, as commander-in-chief, to fan the flames to make anyone less safe,” she said. Several 2020 Democratic presidential candidates condemned Mr Trump’s tweet. “Someone has already been charged with a serious threat on Congresswoman Omar’s life. The video the President chose to send out today will only incite more hate,” Minnesota senator Amy Klobuchar said. Vermont senator Bernie Sanders said Ms Omar “won’t back down to Trump’s racism and hate, and neither will we”. And Massachusetts senator Elizabeth Warren accused Mr Trump “of inciting violence against a sitting congresswoman — and an entire group of Americans based on their religion”. Ms Omar has repeatedly pushed fellow Democrats into uncomfortable territory over Israel and the power of the Jewish state’s influence in Washington. She apologised for suggesting that politicians support Israel for pay and said she was not criticising Jewish people.